My academic lineage dates back to both Carl Gauss and David Marr! PS: In fact, my genealogy graph is a bit more complex than the tree above. 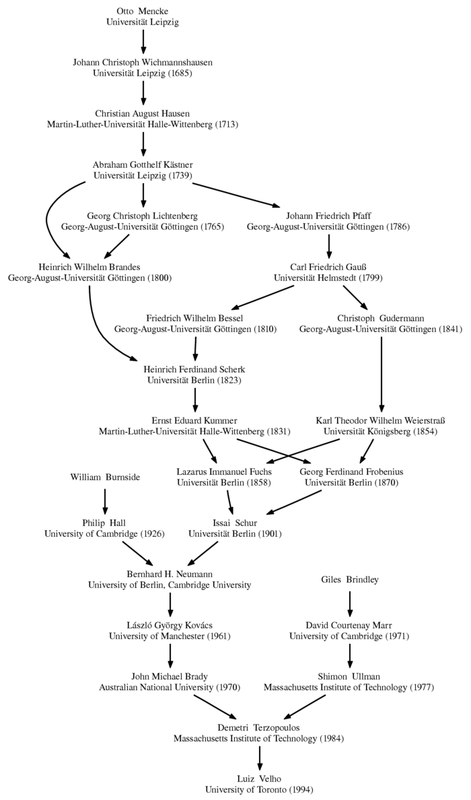 Here is my Math Genealogy page, including some of my stydents.